YEAR 2008. HOURS 2580. 4 CYLINDER KUBOTA DIESEL ENGINE. 4X4. TRIPLE MOWER. 6 BLADES, 8" CYLINDERS. PAS. HST. RIDING GREENS MOWER. TRIPPLE MOWER WITH COLLECTION BOXES. 19HP 3 CYLINDER YANMA DIESEL ENGINE. 2WD. PAS. HST. ROPS. REAR ROLLER BRUSHES. YEAR 2009. HOURS 2423. 4 CYLINDER KUBOTA DIESEL ENGINE. 4X4. TRIPLE MOWER. 6 BLADES, 8" CYLINDERS. PAS. HST. ROPS. YEAR 2012. HOURS 1768. NEW MODEL HAYTER. GANG RIDE ON MOWER. 35HP 4 CYLINDER KUBOTA DIESEL ENGINE. 4X4. 8" HEADS WITH 6 BLADES. HST. PAS. ROPS. FLASHING BEACON. ROAD REGISTERED. KAWASAKI ON DEMAND PETROL ENGINE. 2WD. ELECTRIC REAR TIPPING BODY. FRONT BUMPER GUARD. REAR TOW HITCH. HST. LEAF BLOWER & COLLECTOR. HONDA GX270 PETROL ENGINE. TOW ALONG. YEAR 2006. TRACTOR MOUNTED SIDE ARM HEDGE CUTTER. PTO DRIVEN. RECIPROCATOR HEAD. OWN OIL TANK. YEAR 2002. HOURS 1882. 24HP 3 CYLINDER YANMAR DIESEL ENGINE. 2WD. 54" MID MOUNTED ROTARY DECK. PTO. 2X SPOOL VALVES. PAS. HST. LOW TIP. TURF TRYRES. YEAR 2011. HOURS 3631. 60HP 4 CYLINDER DIESEL ENGINE. 4X4. PAS. HST. ROPS. 3 DECKS. 10FT CUT. ROAD REGISTERED. 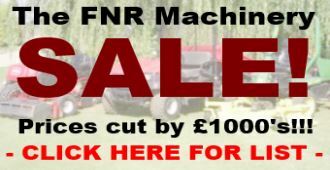 FNR Machinery is home to a wide range of quality used ride on lawn mowers, groundcare equipment, mini diggers, compact tractors, utility vehicles, assorted attachments, implements and trailers, and much more! As groundcare machinery specialists, we can provide the right machine and service to fulfil your requirements, all at very competitive prices. 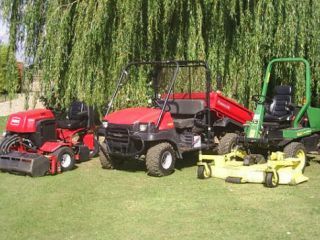 We buy, sell and consider trade-ins of tidy, working ride on lawn mowers. Based in the Fenland area on the outskirts of Wisbech in Cambridgeshire, we are able to offer a repair and service facility for most of the region of East Anglia. We accept all major credit cards, and can offer finance options for most stock items. 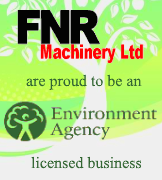 If you would like to view any machinery from our stock list, please call to arrange an appointment. 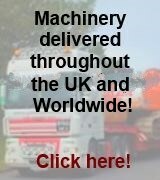 We offer delivery services throughout the UK and Worldwide.